What is inductive preaching? Preaching doesn’t come in only one style or method. 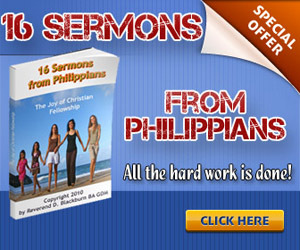 There are different methods to deliver a message in a sermon. There is inductive preaching (this method tells your hearers what the message is about at the end or close of a sermon), deductive preaching (this method tells your hearers what the message is about at the beginning of the sermon) and a bit of both, that is, you can have a deductive message with inductive elements and you can have inductive message with deductive elements. Personally, I learned both methods at seminary. Moreover, I have preached both methods with encouraging results. I enjoy inductive elements of a message because it builds to a climax and I also enjoy deductive elements of a message because it offers a structure to explain deep biblical truths. However, for the purpose of this post, I will be discussing what is inductive preaching? What is the Inductive Method of Preaching? An inductive message is a journey that the preacher shares with his audience. Information is given by the preacher in order to narrow down to the main point at the close of the message. The message is more narrative in its presentation rather than simply an explanation of several main points like a deductive sermon. To put it simply, an inductive message begins with several points which are pulled together or narrow down to make the main point. Nevertheless, you do need a structure to deliver a good inductive sermon. How to Prepare an Inductive Sermon? I have read many books on the topic of inductive preaching (see below – they are all worth reading); however, I have adopted Lowry’s Loop because Lowry’s Loop provides a good structure to present an inductive message. The structure of Lowry’s Loop has five stages. The OOPS stage of Lowry’s Loop provide tension in reference to the main preaching point. This tension creates interest for the audience and it create a need to resolve the tension. During the UGH stage, the preacher begins to analyses the tension in order to develop anticipation of the answer. 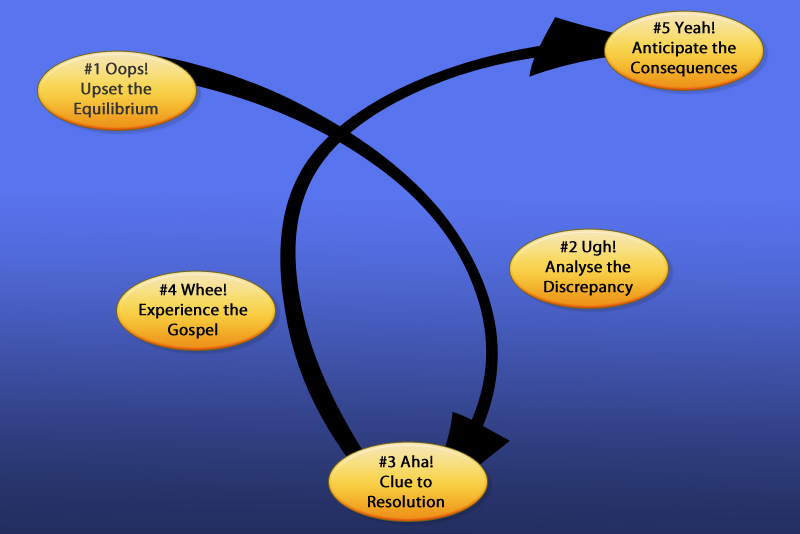 During the AHA stage, the preacher bridges the gap between tension and resolution. It is during this stage that the solution is revealed and the situation is seen in a different light. In fact, it comes as a welcome surprise. During the WHEE stage, the preacher explores the God factor in the whole experience. During the YEAH stage, the preacher deals with how the audience should respond. God has done this great thing. How should the audience respond to this? Once you master Lowry’s Loop, you will find it much easier to write and deliver inductive sermons. You can preview The Homiletical Plot by Eugene L. Lowry by clicking on the link below in the resource material section. Why Use the Inductive Method? The main idea behind the inductive method of preaching is to capture the listener’s attention and take them on an adventurous journey to the main point. Another idea behind the inductive method of preaching is to help preacher teach through the narrative in Scripture. Resource Material For What is Inductive Preaching?